Despite the fact that the law against smoking in public places went into effect almost 10 years ago (2008), Greece is not even close to implementing it. And even though smokers are the minority, they are the ones who decide where smoking is permitted, which is everywhere, literally. Many of the 300 representatives in parliament are smokers and smoke inside the House. From that alone, how possible is it that such a law would be implemented for the general public? 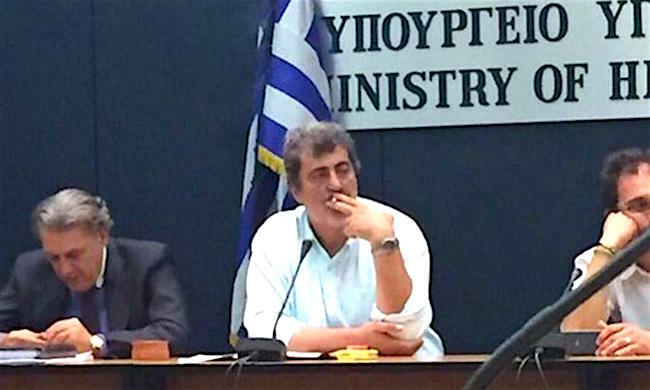 Recently Deputy Health Minister Pavlos Polakis smoked provocatively during a press conference. Hypocritically, President of the Republic Prokopis Pavlopoulos stressed that the anti-smoking campaign has a national character. Speaking on Wednesday May 24, ahead of International Day Against Smoking (May 31) at the International Conference on Tobacco Control 2017 organized by the European Network for Smoking and Tobacco Prevention (ENSP) in Athens, Pavlopoulos said: “Without underestimating the methods used so far against smoking, for me the issue of tackling smoking is a matter of education,” he noted. Sorry, Mr. President, but saying that tackling smoking in public is a matter of education, is like saying that murder, theft, violent assaults and all kinds of criminal or delinquent behavior can be attributed to lack of education, and partly justified. So, now that we found the root of the problem, it is OK to smoke in public. Or break the law any way we please. No Greek government since 2008 dared tackle the smoking issue. In 2009, one year after the law went into effect (but not implemented), 42% of Greeks were daily smokers. Thanks to the economic crisis (and not to education, Mr. Pavlopoulos) in 2014 smokers were 27%. Currently, non smokers outnumber smokers in Greece by more than 2:1. Yet, it is the bullying behavior of the addict that prevails in public places. There is hardly a cafe, bar or restaurant where a minority of smokers does not spoil the experience by sharing their smoke with the rest of patrons. Proprietors use the excuse that they cannot prohibit smoking because they will lose customers, who would go someplace else where smoking is permitted. The economic crisis has been used as an excuse by such businesses. At the same time, smokers would claim that the woes of the crisis “require a cigarette,” as we Greeks say. 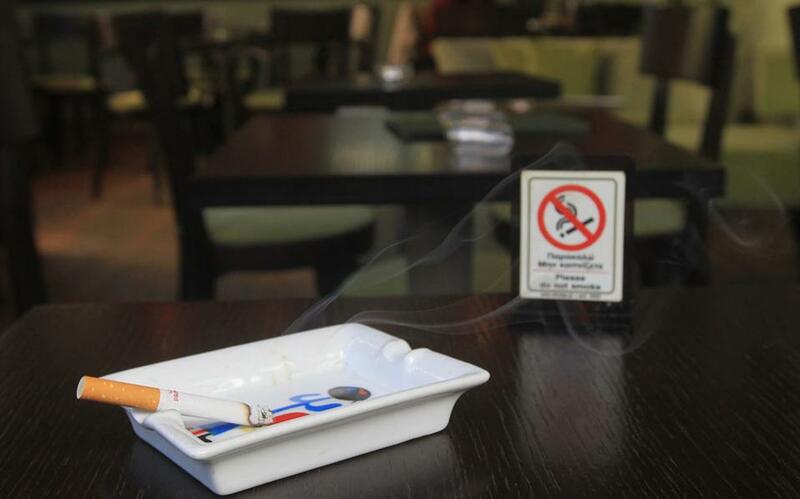 At the moment, there is no Greek bar, restaurant or cafe where smoking is banned. It would be great to see some “brave” proprietors who don’t allow smoking in their businesses. Another factor that encourages Greek smokers to continue is the low prices of cigarettes compared to the rest of Europe. When in most countries cigarettes cost twice as much, in Greece they remain rather cheap. And while those in charge raise the tax on everything else, tobacco taxes remain relatively low. Finally, it is the Greek temperament that dictates we Greeks are the smartest of all in Europe, therefore we will not let those lame Europeans tell us what to do. So, it is no surprise that even doctors and nurses smoke in public hospitals.